The story of empathy has taken many turns, from its origin in aesthetics (and optics), through psychology and philosophy now to its different modes and kinds. Owing to my interest in lived, shared experience/s in an inter-subjective field, I will build on the phenomenological formulation of empathy (Husserl and Stein) as a special kind of imaginative act. Offering an empathy-praxis from Indian aesthetics, I would like to highlight some existing examples of empathy-in-practice (and thus fill in the lacuna in/add to the application of empathy by European phenomenology). I further, wish to explore how empathy-praxes can be developed/ designed for specific situations, highlighting the use of narratives (Gallagher 2012) such as social integration of leprosy patients in mainstream Indian society and professions as also refugees. Such practices would also contribute to the repertoire of performance philosophy (Cull and Lagaay 2013) and arts-based-philosophy (Böhler and Granzer 2018, Böhler, Aigner, Schäfer 2017). Janhavi Dhamankar is an Odissi (Indian classical dance) performer and teacher, trained under the rigorous Guru-shishya tradition for over 20 years. She completed her B.A. and M.A. in Philosophy from Pune University and her MPhil from K. U. Leuven, Belgium. Building on the ‘empathic performer’ from her MPhil, she will now explore the role of empathy in integration of minorities through her PhD at the Vienna University. Having presented at many international conferences and been awarded residencies in India and Oxford, she explored the ‘Philosophical underpinnings of Social Sculpture’ under Shelley Sacks, Head of Social Sculpture Research Unit, Oxford. Since 2012, she has been a Visiting lecturer of Philosophy, Ethics and Aesthetics in many leading colleges in Pune including Symbiosis School of Liberal Arts, Symbiosis Law School, Foundation for Liberal Arts and Management Education (FLAME), College of Engineering Pune. Her recent publications include “Empathy-in-Practice: A Method for Artistic Research?” in Artistic research: Is there some Method? and a collectively authored piece “What is Refugee” in Crisis/Krisis, Performance Philosophy, special edition. She has also conducted movement workshops in Weimar and Copenhagen and Goethean Observation workshops for school students at the Woodstock School Mussoorie and ACCEL, Bangalore, India. She has also worked as the Editor and Content Generator for Pune Biennale 2017. 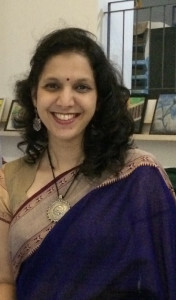 Dhamankar, J. (2018) Lecture performance on John Cage’s Lecture on Nothing in „Exploring Formats, Enriching Practice: A Research Event“, University of Music and Performing Arts, Graz. Co-authored with Daddario, W., Loayza, M., McKenzie, J., Meerzon, Y., Nauha, T., Schmidt, T., Stojnić, A. (2018). „What is Refugee?“. Performance Philosophy. Vol. 4, No. 1: 206-233. Dhamankar, J. (2017). Imaginative Movement workshops for students. Centre for Imagination, Woodstock School, Mussoorie, India. Dhamankar, J. (2013). „Exploring the theosophical impulse of Bharatnatyam: A dialogue between modernist aesthetics and classical traditions“. Enchanted Modernities Conference: Theosophy and The Arts in the Modern World, Universiteit van Amsterdam, September 2013.